It is a crisis mirrored across the developing world: loans so huge that government struggles to repay the debt. But Malaysian prime minister Mahathir Mohamad would not have it. On a visit to Beijing this week, he accused his host of luring nations into a trap with easy loans for projects they don’t need. “We do not want a situation where there is a new version of colonialism happening because poor countries are unable to compete with the rich,” Dr Mohamad said. He was referring to a string of contracts signed by his predecessor, Najib Razak — who was voted out of power in May — including a railway along the east coast of Malaysia, several ports and four man-made islands with plans to build swanky apartments for rich buyers from China. After winning the election, Mohamad’s coalition published documents showing how some of the money was used by Najib to fund his party while millions have reportedly gone missing. had been used to develop the port at Hambantota. At $14bn, Sri Lanka’s global debt, much of it to China, is close to what the state earns in a year. the project for themselves,” he said. He has cancelled a number of big-ticket loans and set up a commission to investigate claims of corruption. Angola has seen its debt to China rising to a point where Luanda is now critically short of cash. And China has courted Zimbabwe, retooling power plants and other ultilities along with talk of two new rail lines to the east through Mozambique. Beijing has lent more than $90bn to African governments and state-owned companies. 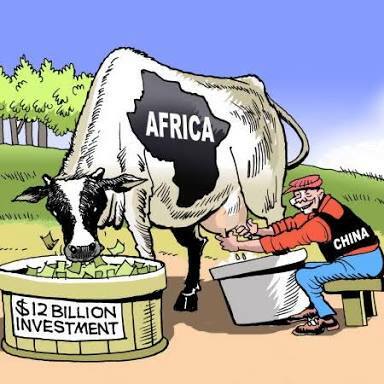 In July, president Xi Jinping and South Africa’s Cyril Ramaphosa signed 10 agreements worth $14.7billion (about R220.5 billion), but the Chinese ambassador to Pretoria, Lin Songtian, said there was nothing to worry about. According to a report from the Centre for Global Development, the country most at risk is Djibouti, an enclave that controls one of the world’s busiest shipping lanes from the Indian Ocean to Suez. Goods from Asia and Africa squeeze through a narrow strait with Djibouti on the left bank and war-torn Yemen on the right. The government of President Ismaïl Guelleh has negotiated loans that amount to almost 90 per cent of GDP, with China holding the lion’s share. Both the USA and France have military camps here, but China has built its own with space for more soldiers than the other two combined. And the same firm that worried Dr Mahatir are present. The China Railway Engineering Corporation worked on Malaysia’s eastern line and has built a new track from land-locked Ethiopia to Djibouti. Mahatir is scrutinising an oil deal with the Chinese National Petroleum Corporation who are working on a gas field in Djibouti. But whereas Malaysia and Sri Lanka have enjoyed a change of government, largely brought on by claims of corruption, Guelleh wins more than 80 per cent at every poll in what opposition groups claim is a rigged vote. account. The port is the country’s biggest earner but in February he issued a decree cancelling a management contract with Dubai-based DP World, alleging the firm had not performed adequately. remained valid, Djibouti simply rejected the finding. DP World has made clear it will not surrender its rights. In Washington, several congressmen have made known their fear that China might eventually base warships at the harbour on only southern route to Suez. Mr Guelleh has repeatedly said he remains an ally in the war on terror and that neither the US nor Europe has anything to worry about. But Sri Lanka is proof of how things can go awry when sovereignty is swapped for debt. With Robert Mugabe no longer in power, Dr Mahatir (93) is the world’s oldest head of state and has been in politics for decades. “It’s all about borrowing too much money which we cannot afford and cannot repay,” he said. For Djibouti, the warning may already be too late.